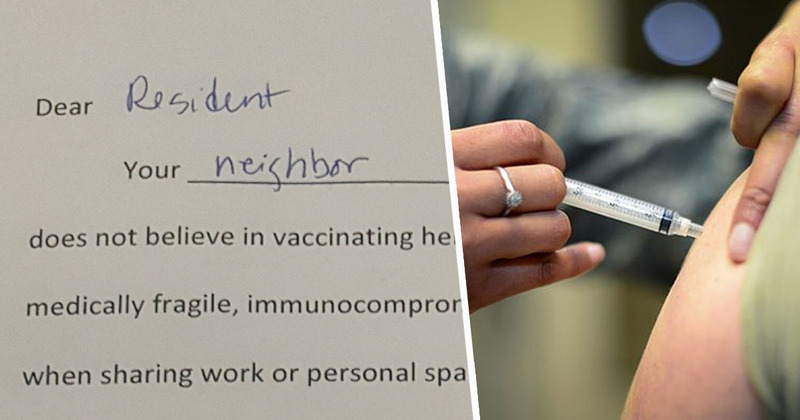 A group of ‘concerned moms’ in the US went viral recently, for sending a letter to the whole neighbourhood, naming and shaming an anti-vaxxer. The brutal letter was sent out to numerous addresses, outing one mum for refusing to vaccinate herself or her family, warning others to ‘use caution’ when interacting with her. The parents urged everyone to ‘be safe,’ before pointing out it would probably be unwise to visit the neighbour’s house or even share personal space with them. 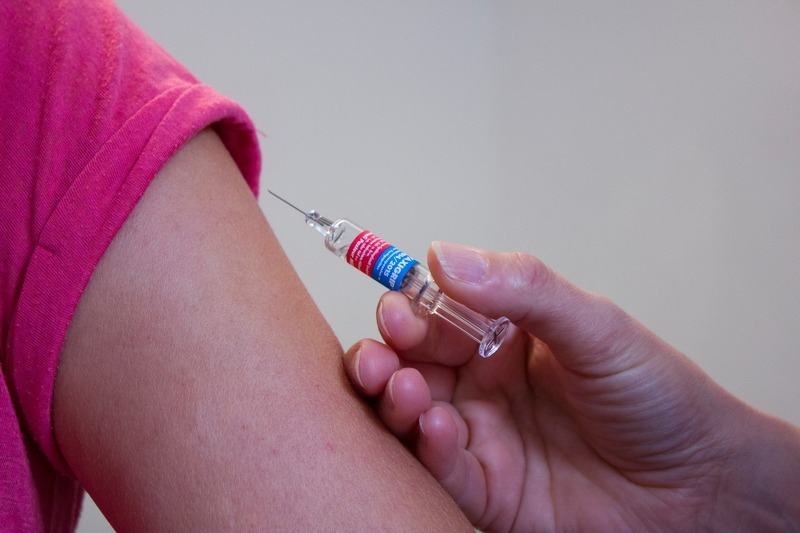 According to the National Vaccine Information Center (NVIC), in Wisconsin, parents can exempt their children from vaccinations for medical, religious, or personal reasons. Vaccinations are one of the most cost-effective ways to avoid and prevent disease, but with people trusting vaccinations less and less, many are failing to vaccinate their children. As a result, the anti-vax movement – despite hovering in the background for quite some time now – has become a growing trend in recent years. So much so, the World Health Oranization (WHO) have recently declared it to be one of the 10 greatest threats to global health, adding ‘complacency, inconvenience in accessing vaccines, and lack of confidence’ are key reasons underlying vaccine hesitancy. And now, one group of parents has decided to take action, refusing to sit back and allow their neighbourhood to be threatened by otherwise preventable diseases. The letter, written and delivered to a neighbourhood in Wisconsin, warned other parents about a particular family who had refused to vaccinate their children. Dear Resident, Your neighbor … does not believe in vaccinating herself or her family. This puts anyone at risk if they are medically fragile, immunocompromised, or out of date in their vaccinations. Please use caution when sharing work or personal space with this individual, eating foods prepared by this individual, or attending gatherings at this individual’s house if you or the people who are important to you fall into medically at-risk categories. The unvaccinated pose a unique threat to infants, who often don’t yet have a full course of vaccinations completed, and can quickly become deathly ill or die. The ‘concerned moms’ proceeded to explain how unvaccinated people had caused major outbreaks in states across the country, blaming anti-vaxxers for ‘preventable deaths’ in recent years. It’s not known how many people the letter reached, but it’s since been viewed more than 100,000 times on Imgur with the number continuing to grow.